At MaxCustomer, we are committed to protecting your privacy and to developing technology that gives you the most powerful and secure online experience. You can travel through most of our site without giving us any information about yourself. But sometimes we do need information to provide services that you request, and this statement of privacy explains data collection and use in those situations. Please read the complete MaxCustomer statement of privacy. This Policy also describes how we collect information about you, what we do with that information, and what controls you have over that information in relation to your use of our Site and Services. By visiting and using MaxCustomer’s website and/or mobile site or using our Services, you acknowledge you have read and understood this Policy. Users can generally visit the Site without revealing any personally identifiable information. However, in certain sections of the Site, MaxCustomer may need information that personally identifies you or allows us to contact you. Generally, this information is requested when you are asked to complete a registration form, while contacting us for inquiries or feedback or subscribing MaxCustomer services. Personal information collected by MaxCustomer is often limited to contact data such as your name, email address, phone number and company information, but may include other information when needed to provide a service you requested. When you access the MaxCustomer via a third party social media provider such as Facebook, we may collect and store personal and non-personal information which is available on that third party social media provider, such as your Facebook name, your profile picture or its URL, your Facebook ID and other public data of your friends, provided that you have expressly agreed to the use of Facebook within the MaxCustomer. We will also receive technical data in order to ensure the MaxCustomer connect to the correct Facebook account. MaxCustomer will disclose your personal information, without notice, only if required to do so by law or in the good faith belief that such action is necessary to: (a) conform to the edicts of the law or comply with legal process served on MaxCustomer or the site; (b) protect and defend the rights or property of MaxCustomer and its family of Web sites, and, (c) act in urgent circumstances to protect the personal safety of users of MaxCustomer, its Web sites, or the public. To receive a list of the agents, partners or contractors assisting us in the processing of your information please send your request to . This list may change and will be updated from time to time. From time to time, MaxCustomer may partner with other companies to jointly offer products or services. If you purchase or specifically express interest in a jointly-offered product or service from MaxCustomer, MaxCustomer may share information about you collected in connection with your purchase or expression of interest with our joint promotion partner(s). If you do not want your information to be shared in this manner, you may email . However, we do not control our business partners’ use of the information that we share with them about you that we collect, and their use of the information will be in accordance with their own privacy policies. Data About Attendees: MaxCustomer does not share Data About Attendees with business partners unless: (i) you specifically opt in to such sharing via an event registration form; or (ii) you attend a MaxCustomer event and have your attendee badge scanned by a business partner. If you do not want your information to be shared, you may email . If you choose to share your information with business partners in the manners described above, your information will be subject to the business partners’ respective privacy policies. To protect MaxCustomer and Others: We may disclose any of your information to: (i) comply with legal process; (ii) enforce any agreements that you entered into with us; (iii) respond to claims that any content violates the rights of third parties; (iv) respond to your requests for customer service; and/or (v) the extent necessary for the purposes of the legitimate interests pursued by us or by the third party or parties to whom the data are disclosed, except where such interests are overridden by the interests for fundamental rights and freedoms of the data subjects. We may also disclose information to law enforcement agencies in emergency circumstances, where the disclosure of such information is consistent with the types of emergency disclosures permitted or required by law. 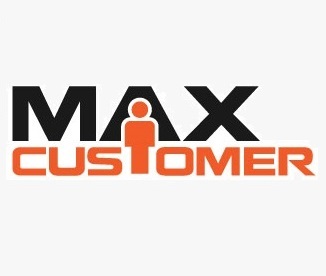 MaxCustomer posts a list of Customers and testimonials on the Company’s Web sites that contain information such as Customer names and titles. MaxCustomer obtains the consent of each Customer prior to posting any information on such a list or posting testimonials. MaxCustomer takes substantial precautions to protect data and information under its control from misuse, loss or alteration. The security of your personal information is important to us. We follow generally accepted standards to protect the personal information submitted to us, both during transmission and once it is received. The personal information about you that we collect is sent to and stored on secure servers located as noted below or in the systems of the third parties that we use, where applicable. Such storage is necessary in order to process the information. Please email us at m to know more about third parties. The General Data Protection Regulation (GDPR) is a European privacy law that took effect on May 25, 2018. This law is an important step forward in streamlining data protection requirements across the European Union. MaxCustomer is compliant with the requirements of GDPR and able to demonstrate compliance. Access all the personal information about you held by us, including where applicable, a list of the third parties to whom we have disclosed their personal information (if any) for their direct marketing purposes in the prior calendar year, as well as the type of personal information disclosed to those parties. On request, we will provide you with a copy of this information. You can exercise your right of access to your personal information by emailing us at . Our Sites and Services do not target and are not intended to attract children under the age of 16. MaxCustomer does not knowingly solicit personal information from children under the age of 16. Should we learn or be notified that we have collected information from users under the age of 16, we will immediately delete such personal information. If you are under 16 in your country of residence, please ask your parent or guardian to provide their information for you. MaxCustomer reserves the right to change this Policy from time to time. Please check this page periodically for changes. If we make any material changes to this Policy, we will notify you before they take effect either through the Site or by sending you a notification. Any such material changes will only apply to personal information collected after the revised Policy took effect.